SPOILER ALERT! : This story contains mild spoilers from the four-part campaign included in the core rulebook of Tales from the Loop. This post follows on from my previous story chronicling the development of Games vs Play’s custom campaign for Tales from the Loop. You can read the first instalment here. I decided that to develop this story arc further I needed to write a bridging scenario to sit between the 2nd and 3rd adventures in the core rulebook. In our campaign “Grown Up Attraction” took place between Sunday 20 and Tuesday 22 October 1985. 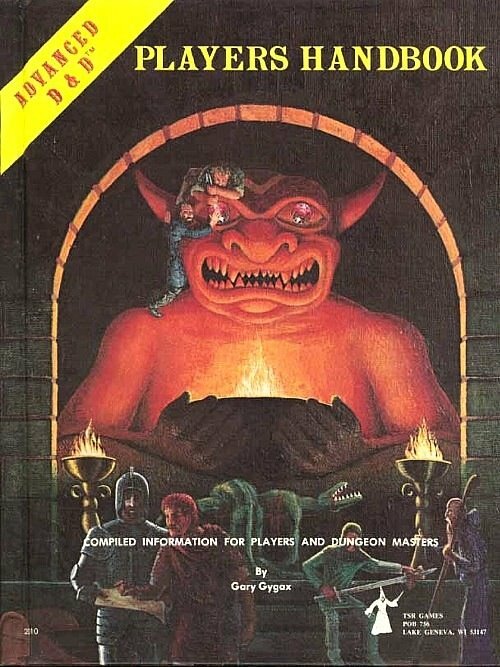 Given that my campaign was centred around the 1980s Satanic moral panic around roleplaying games, rock music, comic books etc., I initially thought that setting the bridging adventure on Halloween would make perfect thematic sense. However, after a bit of research I discovered that Halloween had not been celebrated all that much in Sweden during the ’80s (somewhat like here in Australia, where Halloween was seen as more of an American custom than a local one). What my research did turn up, however, was that the day after Halloween, November 1st or All Saints’ Day, was a much more important day in Sweden. Originally a Catholic festival honouring all the Christian saints who didn’t have feast days of their own, after the Reformation in the sixteenth century Sweden remained one of the few predominantly Protestant nations to retain the holiday. 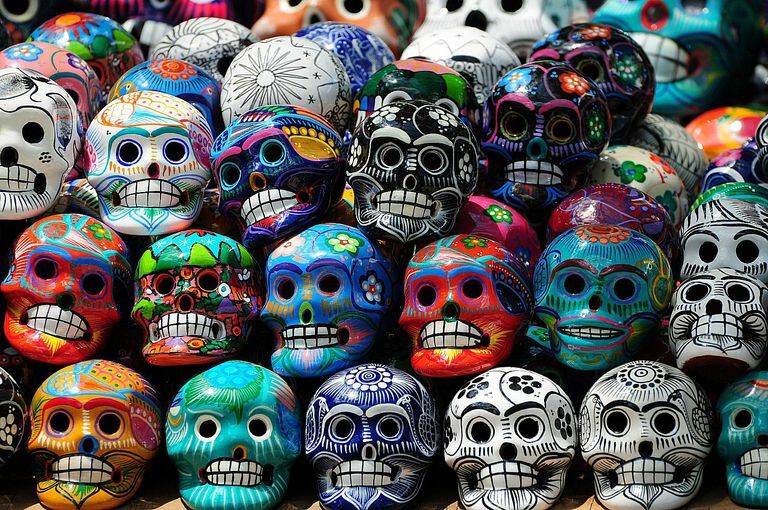 In the intervening centuries All Saints’ Day had changed meaning to become a day to remember departed family members and friends. 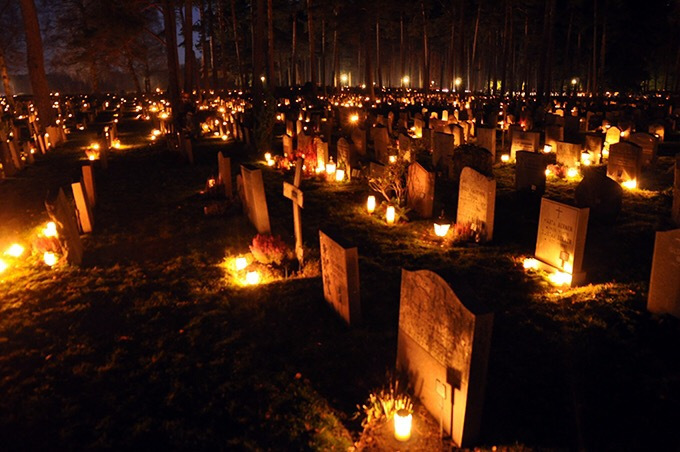 Since 1953, All Saints’ Day has been observed in Sweden on the Saturday that fell between 31 October and 6 November. In 1985, when our adventure was taking place, All Saints’ Day fell on Saturday 2 November, which also happened to be All Souls’ Day. In early Christianity, All Souls’ Day had been the day when the living prayed for all of the faithful departed, and in many cultures it became the one day in the year when the boundary between the living and the dead momentarily broke down. 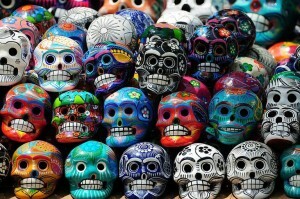 This is what the Day of the Dead festival in Mexico is all about (and if you haven’t seen the movie Coco, you should!). So of course I asked the Internet. More specifically, I asked if there were any Swedish members of The Tavern at the End of the Internet Facebook community who could tell me more about what All Saints’ Day actually was like for kids growing up in the ‘80s (at that point I hadn’t yet joined the Tales from the Loop Facebook community. I have done so since, and have received really excellent advice from Swedish GMs and players on tips for the Swedish setting of the Loop). The information I got back from the Swedish Tavernkeepers was that All Saints’ Day was a quiet, reflective day where families might visit the graves of loved ones and leave a candle burning on the headstone. It was the sort of day where even non-religious families would take their kids to church. There were no fireworks, no dress-ups, no trick or treating and definitely no burning of wicker men effigies by the light of the dying sun. Damn! How was I meant to use such a quiet and dignified event as the core of a gripping Tales from the Loop adventure? After a bit of brainstorming I realised I was asking the wrong question. The correct question was: How would Jonathan Nyqvist, the narcissistic 14-year-old Popular Kid who was the main villain of my campaign, warp All Saints’ Day to his own purposes? Once I started thinking like Jonathan Nyqvist the adventure began falling into place. At the end of “Grown Up Attraction” the D&D Kids discovered how Jonathan Nyqvist had insinuated himself with the father of two of our Kids, 14-year Henrik (an good-hearted Jock) and his 12-year old Bookworm sister, Owl. His plan went something like this: by manipulating the Be My Anchor program Jonathan Nyqvist would convince the grown-ups to hold a special carnival event on All Saints’ Day. It would be free entry for everyone, with rides and stalls and lots of food. What self-respecting Kid would choose to go to a boring church service when they could be riding dodgem cars instead? But Jonathan’s carnival would be special. Just after sunset, a bonfire would be lit and the good people of the Mälaren Islands would be asked to cast onto the flames any Satanic material they could find. This included heavy metal records, comic books, and roleplaying games. Especially roleplaying games. Yep, the inaugural Be My Anchor bonfire carnival would be a good old-fashioned book burning. Obviously this put the D&D Kids in a tricky situation. Jonathan Nyqvist and his cronies knew they were roleplayers – so did he intend to expose them in front of the whole community during the carnival? Maybe, maybe not. I decided that Nyqvist had yet another plan up his sleeve with even graver consequences for both the D&D Kids and the people of the Mälaren Islands. At some point during their forays into the tunnels of the Loop, Jonathan Nyqvist and his two henchmen, the thuggish Olof Akerson and the easily led Johan Jakobsson, had stumbled across a scientific artefact of rare and dangerous power. Essentially they had in their possession a portable interdimensional gate generator. 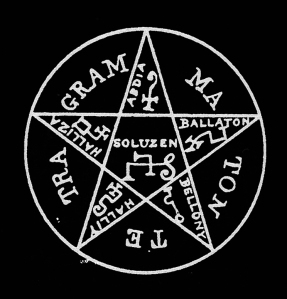 The device consisted of a transceiver unit roughly the size of a shoebox and five “spikes” or nodes that could be rammed into the ground to form a roughly pentagonal-shaped field (or should that be a pentagram-shaped field …). Drawing its power from an unseen energy source (more of that in a later adventure), when switched on the portable gate could superimpose the reality of a nearby dimension over the area contained within the five spikes. Placing the spikes closer together – i.e. making the area between the spikes smaller – would result in a smaller but more intense superimposition of the parallel dimension. Conversely, placing the spikes further apart would create a much larger area for the gate, but objects from the alien dimension would not physically manifest as strongly. Through some nearly fatal trial and error, Nyqvist had worked out how to tune the transceiver so that it opened a gate to a dimension inhabited by four-foot tall humanoid beings with shaggy fur, glowing red eyes and 2 or 3 curved horns sprouting from their heads. These “trolls” were as vicious and murderous as they were grotesque, and fortunately (for everyone, really) Nyqvist and his cronies had managed not to let any of them escape from the gate and wreak havoc in our world. But that didn’t mean the trolls couldn’t be of use to Jonathan Nyqvist. On the morning before the Be My Anchor Carnival rolled into town, one of Nyqvist’s henchmen – probably Olof, as Johan couldn’t be trusted not to chicken out at the last moment – would set up the five spikes of the gate around the perimeter of the carnival. This would effectively make the carnival one large, interdimensional gate, but because the field generated across such a large area would be very weak the trolls would only appear as shadowy creatures of uncertain physical substance. 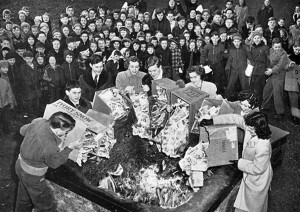 Next, Nyqvist Charmed the Be My Anchor committee to allow him to make a speech just before the start of the book-burning ceremony. At a prearranged signal, one of the other Hatcher Gang members (probably Olof again, concealed somewhere in the carnival) would switch on the transceiver and let loose the trolls. Though the creatures would be unable to inflict serious physical harm on the carnival goers – just a few nasty scratches and bites – their seemingly supernatural and demonic presence would surely terrify the innocent people attending the carnival. 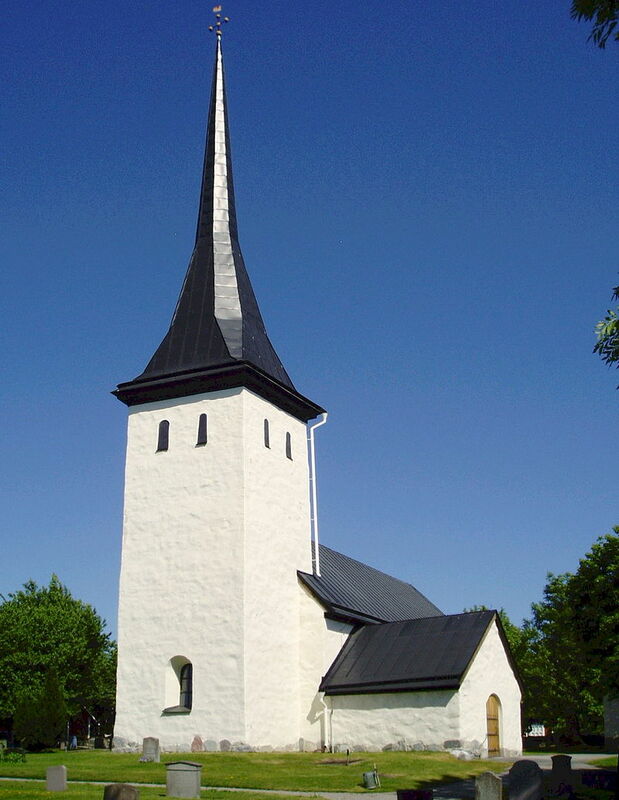 While this was happening, Jonathan Nyqvist would claim the stage again and call on the good people of the Mälaren Islands to pray to the Lord to save them from Satan. Nyqvist himself would lead the prayer, and just as the hysteria reached its height his concealed co-conspirator would switch off the gate, banishing the trolls as abruptly as they’d arrived. It would seem that Jonathan Nyqvist had saved the community from a real Satanic attack through the power of prayer, thus immensely increasing his influence among the grown ups and putting the D&D Kids into an even greater position of vulnerability. The All Saints’ Day carnival would be the Showdown of the adventure, while the Mystery would revolve around whether or not the D&D Kids could stop Jonathan from making his plan work. Almost everything was in place now for me to run this adventure, except one last thing: a setting for this potentially apocalyptic carnival. I started thinking like Jonathan Nyqvist again. After a while, I had a hook. What I needed was a church. What better place for a staged show-down with the forces of Satan than a church? Now I had everything I needed to write and run my first homebrew scenario for Tales from the Loop. In the next post I’ll detail what actually happened when the D&D Kids came up against Jonathan Nyqvist, and the consequences their actions will have on later adventures in this campaign. The GvP crew has been using the English version of Tales from the Loop: The Roleplaying Game. You can buy hardcopies or PDFs of the core rulebook and supplements at the Modiphius or Fria Ligan websites.